Hearty vegetables like eggplant, zucchini, squash, red pepper and mushrooms are sautéed and finished with a Parmesan garnish. Sauté mushrooms in olive oil, add broccoli, garlic and tomatoes. Add roasted vegetables to sauté. 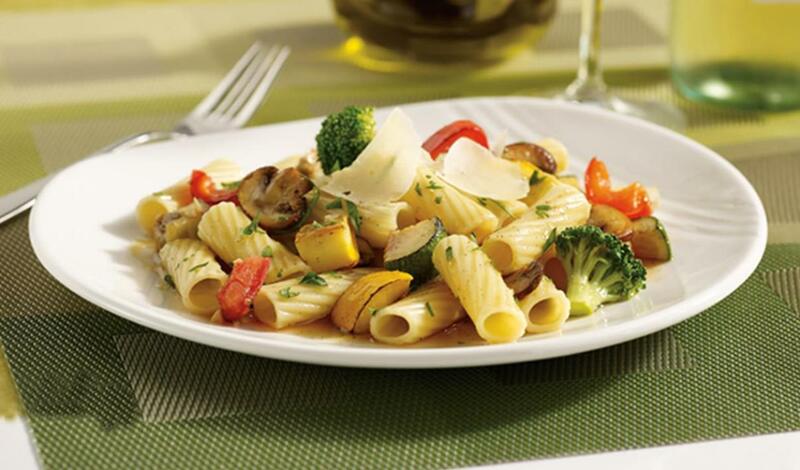 Toss pasta with prepared roasted vegetables, add Knorr® Professional Liquid Concentrated Vegetable Base and 4 oz. pasta water. Just prior to serving, garnish with Parmesan cheese, parsley and basil.